Wouldn’t it be great to not have lug all those jugs of laundry soap and fabric softener home from the store? And, how great would it be to just refill the same plastic container over and over instead of throwing them all into landfills? Now you can feel good about doing laundry with MyGreenFills laundry products by Selestial Soap – no wasting gas/adding air pollution while driving to the store, no disposing of plastic products, no toxic chemicals, plus receive easy to use 100% natural refill packets of laundry products that are delivered right to your door! At about $8.00, MyGreenFills is economical, as well as ecological! The last name brand detergent I bought in this size was $9.99, so I think the price of MyGreenFills detergent is a little below average. Automatic delivery of refills can be set up. You choose the frequency and which product refills you would like to be delivered. MyGreenFills laundry soap and fabric softener clean an amazing 50 HE loads of laundry. The laundry soap is 3x concentrated, is a cold water formula, and can be used in standard and HE washing machines. 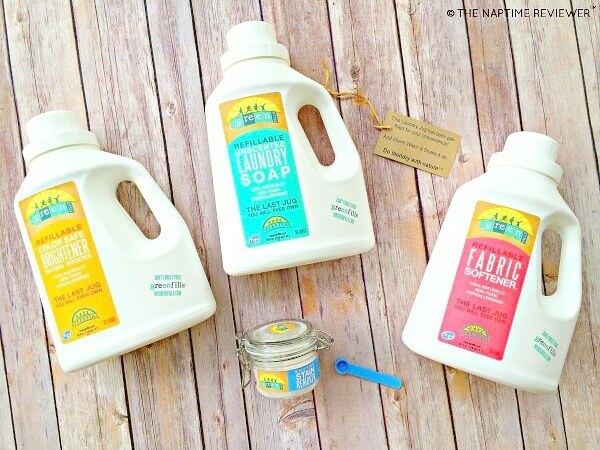 Both the laundry soap and fabric softener are hypoallergenic, all natural, and non-toxic. The color safe brightener works great to whiten whites without chlorine, and keeps colors bright without fading. If you have tough stains, the Enzyme Stain Remover is fantastic! You just use one of the little itty bitty scoops in a load of laundry and it removes stubborn stains. This tiny jar also can do up to 50 loads of laundry. 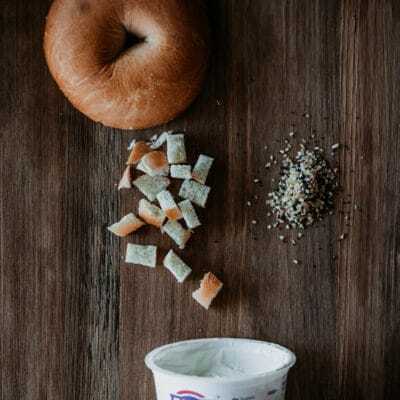 What you will notice with these products is they don’t have all the unnecessary additives, like thickeners, fragrance, or added colors. It did take me some time to get used to using the more “watery” quality of these products, but they definitely clean as well, or better, than the major brands. I love the feel of our clothes with MyGreenFills fabric softener. They are soft, without the kind of “heavy and sticky” feeling you get from other fabric softeners. I love the “Pay The Jug Forward” concept! 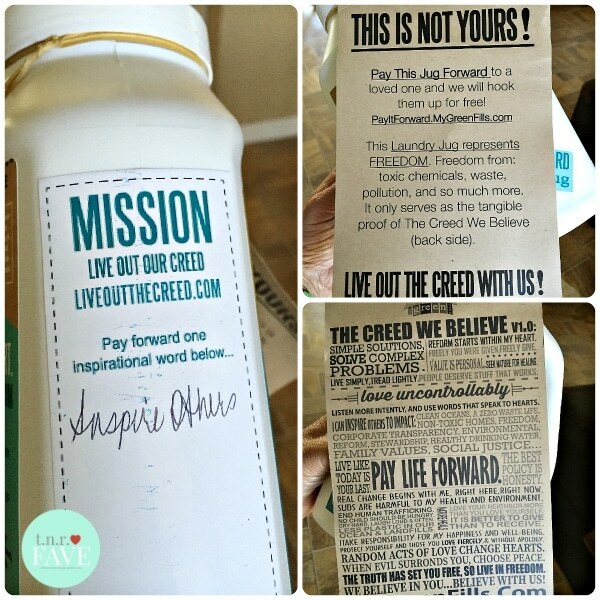 I gave away my jug, which comes with instructions on how the recipient can obtain a free laundry detergent refill! How cool is that! Disclosure: I received one or more of the products mentioned above in exchange for review from MyGreenFills/Selestial Soap. Regardless, I only recommend products or services I use personally and believe will be good for my readers.